I've posted a few questions on the site mcmcse and I don't know what their deal is but they aren't very responsive and don't seem to give you complete answers to your questions. Anyways, I want to beging studying for my CCNA and one of the things I want to know is there some type of guide or something that can allow me to narrow down exactly what I need to learn and what I can skip over. I don't want to spend a lot of time like learning all of the cisco router commands if they don't test you on that. I'm not trying to take a shortcut, but want to just focus in on what I need to learn for the test. I'm going to be taking a 5 day class in april that my job is sending me to, but I want to get started now on preparing for the exam. I've got access to a 2800 and 2600 router and a catalyst switch. Also, if you could tell me what I can begin studying as like the first step. I don't want to buy a book yet because the class will be providing one, but I'm not sure which one yet. I've started brushing up on subnetting and general networking. 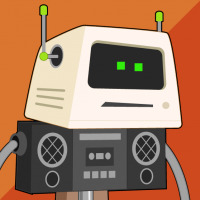 Well sleeme it is appears that you are new to just what these sites including mcmcse are. They are mutual help sites run at the discretion of the site owner and generally at a loss. No one has an obligation to answer your question or are necessarily even qualified to answer a specific question. All like myself are volunteer members. Having said that this is one of the few good sites for you to get information. The ultimate arbiter of any question is the manufacturers web site, in this case Cisco. The second method is to become familiar with Google. Once displayed click on the link for the test you are interested in and it will take you to the Cisco page with a syllabus for the test. Good luck with your studies and don't be impatient if you do not get an immediate answer especially on non work days. is there some type of guide or something that can allow me to narrow down exactly what I need to learn and what I can skip over. I don't want to spend a lot of time like learning all of the cisco router commands if they don't test you on that. I'm not trying to take a shortcut, but want to just focus in on what I need to learn for the test. 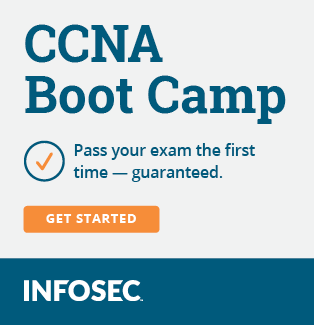 and follow the CCNA links to get to the exam info page and the exam blueprint. This blueprint is pretty vague and anything in the Cisco Press Books fits within the blueprint. If it hasn't been tested in the past doesn't mean it won't be tested in the future. Subnetting and general netwking is good. Finding out what book the class will provide and use is also a good idea. Since you have the routers, you should get a book now so that you can start using them. The Cisco Press books have all the answers and a lot more. The Sybex book has the highlights -- but unless you memorize it, you want something else to reinforce it. If the bootcamp isn't using the Sybex -- that's what you'd probably want now. It will be shorter and more too the point -- and the bootcamp will pound more trivia into your short term memory for the exam (and reinforce what you learned from Sybex). To save some time learning the commands -- when you hit the "router" command -- you can skip the BGP and IS-IS options. One of the first things you will learn at the router command line will be "show ?" command at the differnet command levels -- you're already not going to be learning a lot of the commands -- so yeah, if it isn't in your CCNA book(s) you won't have to learn it.